Casa Aretusa price per day from € 105 Set in the historic centre of Syracuse, Casa Aretusa is a spacious, rooms with wooden ceilings and contemporary décor. It's an 8-minute walk to the city's main sights, such as the Apollo Temple and Maniace Castle. Casa Aretusa price per day from € 100 . A Casa di Sonia A Casa di Sonia is located in the historic area of Ortigia Island. It offers self-catering accommodation featuring a terrace and free WiFi. The kitchen is equipped with a dishwasher and a dining table. Archaeological Park of Neapolis is a 10-minute drive away..
A Due Passi dal Duomo B&B price per day from € 47 Just 200 metres from Syracuse Cathedral, on Ortigia island, A Due Passi dal Duomo B&B offers classic-style rooms with air conditioning and free WiFi. Set in a historical building, rooms at the A Due Passi dal Duomo come with a TV, refrigerator and desk. A sweet Italian breakfast is provided daily at a nearby cafè..
Casa vacanze Le Zagare . Casa Aretusa price per day from € 250 . House, 95 square meters, recommended by travellers ! La Via della Giudecca price per day from € 120 . 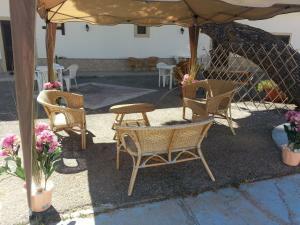 B&B Villa Pia price per day from € 63 . La Via Del Mare . 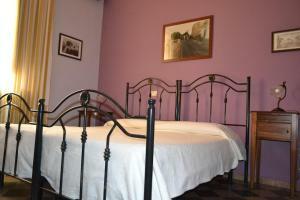 Hotel Mercure Siracusa price per day from € 75 . Il Labirinto B&B price per day from € 70 . Siracusa is a historical town, the capital of the province of Syracuse, situated in the SE edge of the island of Sicily, immediately by the Bay of Syracuse close to the Ionian Sea. For such an anonymous town, Siracusa, is shockingly big, with a 125,000 inhabitants. However incredibly at the height of its impact approximately 400 BC, that figure is approximated to have been between 200,000 and 300,000. Right after wiping out a impressive attacking armada sent from Greece in 415 BC, it came to be possibly one of the most formidable town state in the Western world. For visitors taking a trip to Sicily these days, Siracusa is not to be overlooked. It is fairly simple to visit in a day, although certainly is worthy of somewhat more time. A trip could be broken into 2 effortless components: one devoted to the archaeological site, the other to the isle of Ortygia. The heart of town is simply accessed on foot - the island of Ortygia includes the majority of the attractions, and is small and enjoyable for walking. The archaeological area is approximately 25 mins' walk away from the island. Syracuse is an incredible town of culture and customs prepared to be uncovered and enjoyed. Adventures that can be arranged feature culture & language courses, Sicilian gastronomy courses & wine tasting, open air adventures (climbing, biking, climbing, wind-surfing, snorkeling), tours throughout the island, workshops (Sicilian puppet manufacturing, potteries, taking photographs, painting). The archaeological site, located in the NW part of the city, is the home of a incredible amount of well maintained Roman and Greek leftovers. The primary attraction is certainly the Greek theater that antedates approximately from the 5th Century BC. Its cavea is among the biggest ever constructed: its 59 rows can house as much as 15,000 spectators. The theater is still used for a yearly Greek event starting from the middle of May to the beginning of July. The Roman arena, constructed in the 3rd Century AD, is likewise quite outstanding. More than 140 metres in length, it is among the biggest to be discovered anyplace. The Archaeological Museum is only a few metres from the archaeological park and consists of a fantastic compilation of items from throughout the Syracuse region. The nearest flight terminal is Catania to the north of Siracusa, which provides straight bus services. Frequent buses operates to and from Noto, Catania, Modica, Gela and Ragusa in addition to more local places. The train terminal is just ten mins of walking from the center of Siracusa. Siracusa is additionally served by direct railway lines from Rome. Lately Siracusa has come to be a rather upmarket place - travellers searching for trendy boutique hotels will have a lot to select from. However there are nevertheless a number of excellent apartments and budget options, and you don't have to spend a great deal of money to stay in pleasant accommodation in Siracusa. Similar tourist destinations in Italy: Catania, Palermo, Alghero, Taormina, Trapani, Cefalu, San Teodoro. 1. Head northeast on Via Vittorio Emanuele toward Via Maqueda. 3. Turn right onto Via Galletti. 5. Slight left onto Strada Provinciale 76. 6. At the roundabout, take the 2nd exit onto the A19 ramp to Catania/Messina. 8. Take exit Tangenziale toward Siracusa/Ragusa/Catania Centro/Aeroporto/Porto. 10. Take exit Siracusa Sud to merge onto SS124. 11. Continue onto Viale Paolo Orsi. 12. At the roundabout, take the 2nd exit onto Corso Gelone. 13. Turn right onto Viale Teocrito. Go through 1 roundabout. Destination will be on the left. Island Ortygia, Syracuse, 1 km from the centre of town of Siracusa. Church Duomo di Siracusa, Syracuse, 1 km from the centre of town of Siracusa. Cave Cavagrande del Cassibile, Avola, 4.6 km from the centre of town of Siracusa. Villa Romana del Tellaro, Noto, 4.6 km from the centre of town of Siracusa. Cathedral San Nicola, Noto, 4.7 km from the centre of town of Siracusa. Palace Nicolaci a Noto, Noto, 28.2 km from the centre of town of Siracusa. Church Santa Chiara, Noto, 28.4 km from the centre of town of Siracusa. Ski resort Etna Nord, number of ski pistes: 2. 84 km from town of Siracusa.